← Geoff Bewley Memorial Cross 2016. A Story In Pictures. 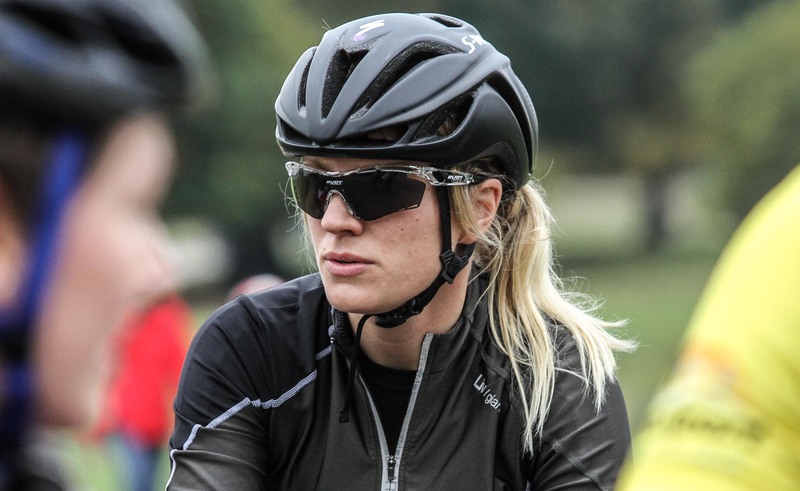 Sunsport Velo WRT have been busy bees in the off season checking out talent nationwide and securing the signature of some strong and committed women who are destined to bring success to the Cheshire based outfit in the coming season and beyond. One such talent is Kents Victoria Fearn. Having tasted victory in a few events in 2016 her ambitions have led her to Sunsport and the wider opportunities that will now come her way. 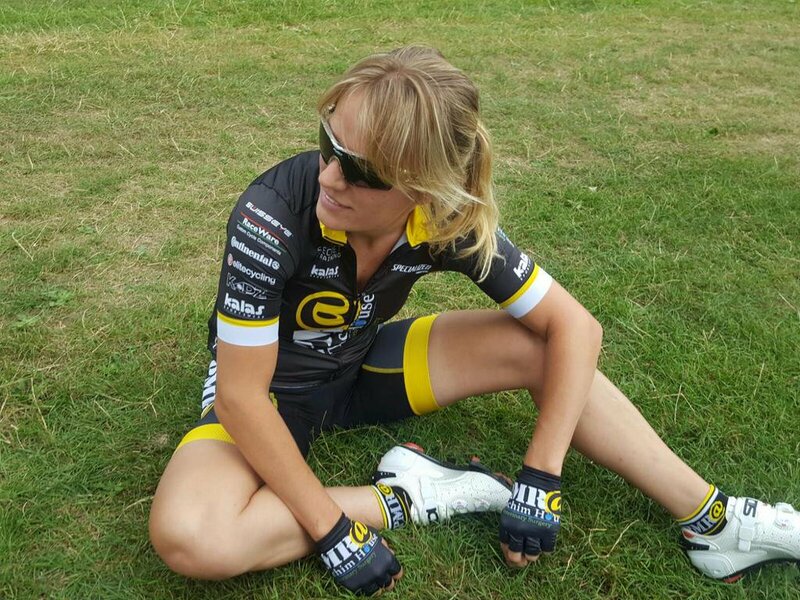 We will be closely following Vicki and her new team in 2017 but for now lets find out a little of who she is. How Long Have You Been Cycling?………Been cycling for 4 years now! Career Highlight So Far?…..Winning a Surrey road race end of 2016! Team winning a team TT stage event at Bedford 3 day. Taking part in the Ras na’Bam, Ireland too epic for words. What Are Your Ambitions in the Sport?……..To be part a successful team. To see how many points and wins I can get in a season and what we can achieve as a team. Develop my riding to the next level. I cannot wait to do as many national races and stretch our legs over the waters to see how we can do elsewhere in Europe. 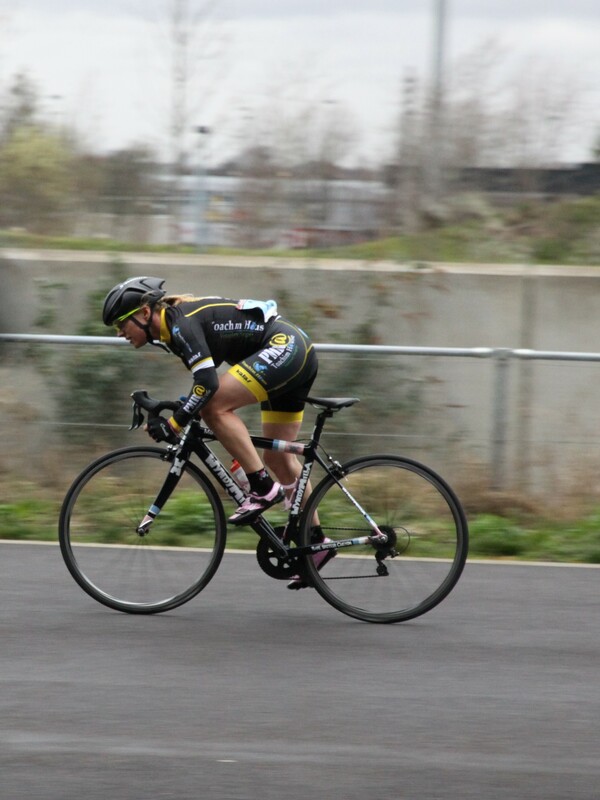 Who Do You Most Admire Outside of Cycling?….My mum, some women can just do it all, love her. You’re Stranded on a Desert Island with Three Famous People (dead or alive) of your Choice. Who are They?….Kevin Spacey (my favourite actor), Bear Grylls (so we could eat and survive) and Marilyn Monroe for some glamour tips! Favourite Holiday Destination?…..South Africa, I got married there last year and fell in love with the place and I am going back out there with friends and Dame Kelly Holmes to do the Tour of Good Hope which is a massive 5 day stage in March 2017 with mammoth stages through mountain passes out in the Winelands, it is going to hurt but it is so beautiful it makes it worthwhile! Should Pineapple as a Pizza Topping be Outlawed?…Absolutely not love pineapple and always shove loads of extra stuff on top a pizza the more the better. Your House is on Fire. What One Possession Do You Save?……..Without thinking my 2 dogs (and no I can’t choose between them), love them, can’t buy loyalty like that and they come and support me at races, little furry balls. Name a Famous Person Who Really Really Irritates You and in 5 Words Why?…..Hugo Taylor, Ok, I must confess I have been watching tour du celeb! A cycling reality show.So why him, ‘doesn’t listen to pros advice’ –big mistake! And finally (this is the deep question!) if it all ended tomorrow how would you sum it up?…….It has been great, let’s do it again somewhere else, who’s in? And remember, the most important thing is happiness and love those that love you. Terrrific responses Vicki and we are all looking forward to seeing you mixing it up on the road in 2017!